The site for Seasons 52 menu prices. 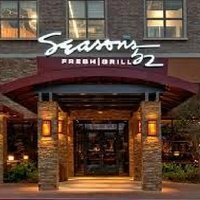 Seasons 52 is a US-based chain of fine dining restaurants owned and managed by Darden Restaurants, Inc. since its founding in 2003. Since the restaurants opened, they’ve become recognized for its upscale atmosphere, fresh ingredients as well as their seasonal menu. Below are the latest Seasons 52 menu prices. There are 41 Seasons 52 locations in the United States, and as the name implies the menu is seasonally inspired, something that can be seen in their fresh grill dishes and wines. The core menu is replaced four times a year in accordance with the season, and in addition, all the right-hand panel features are replaced every week. To ensure quality, the restaurant’s master sommelier George Miliotes ventures into several vineyards to pick wines for the restaurant. Today there are more than 100 unique wine bottles on the menu. Except for the newly added lobster tail, no item on the menu uses butter. In addition, all menu items are under 475 calories. Apart from the wine, Seasons 52 also has plenty of flatbreads, appetizers, salads, and sandwiches available on the menu, as well as meat, poultry, seafood and unique desserts. Among the latter, Belgian Chocolate S’More and Raspberry Chocolate Chip Cannoli are the most popular, and you can also try their Mocha Macchiato. For more information about Seasons 52, visit their official website.